11 day Authentic Japan tour including return international flights, accommodation, breakfast daily, private coach transportation, in-depth sightseeing, tour guides and more. Experience Japan’s mesmerising beauty with this 11 day Authentic Japan tour package. 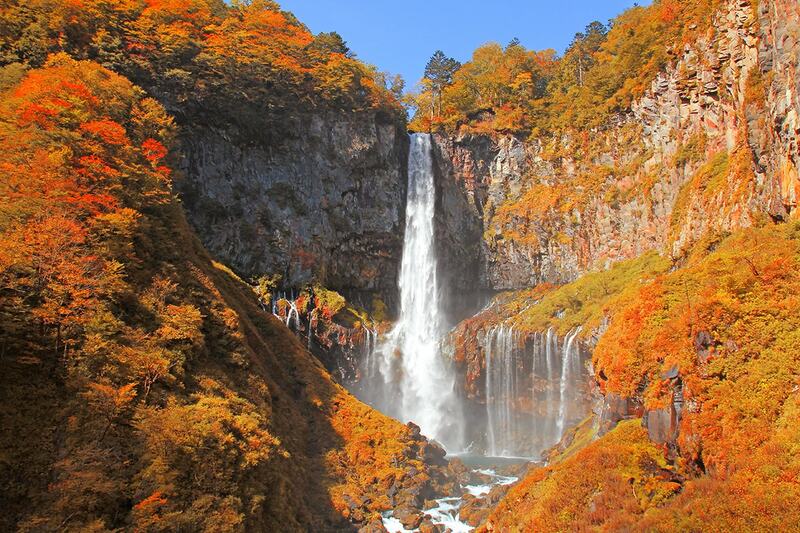 Experience Nikko, an ancient town surrounded by deciduous cedar trees and majestic waterfalls and be astounded by the natural scenery of Lake Chuzenji. 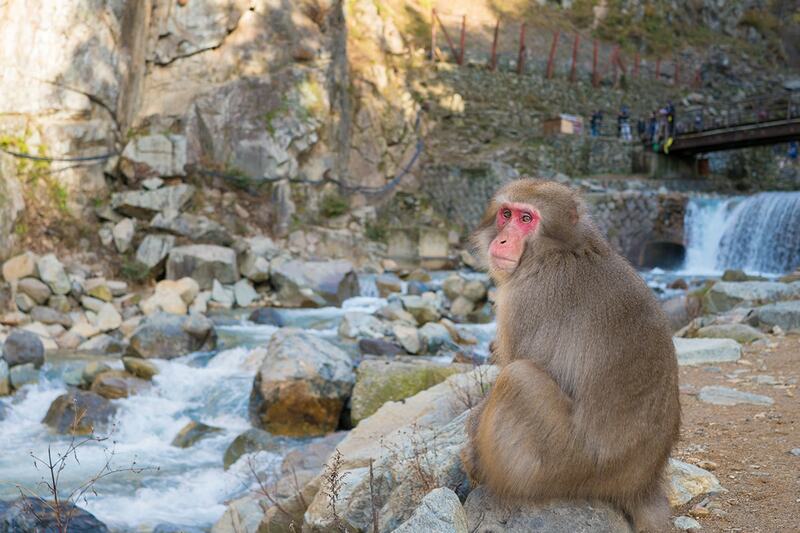 Travel to the famous Jigoku Valley Monkey Park, where you can see wild snow monkeys bathe in hot springs all year round. 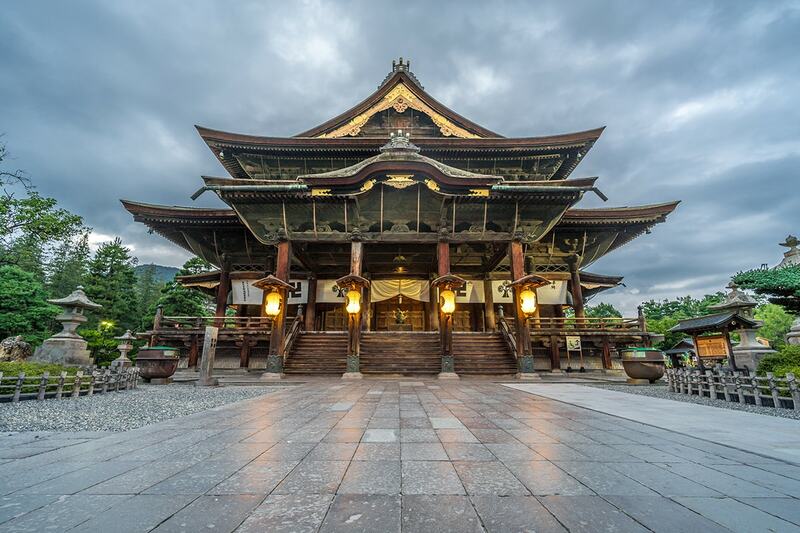 Visit the Zenkou Temple, one of the largest Buddhist temples in Japan with an astounding history that spans over 1,400 years. 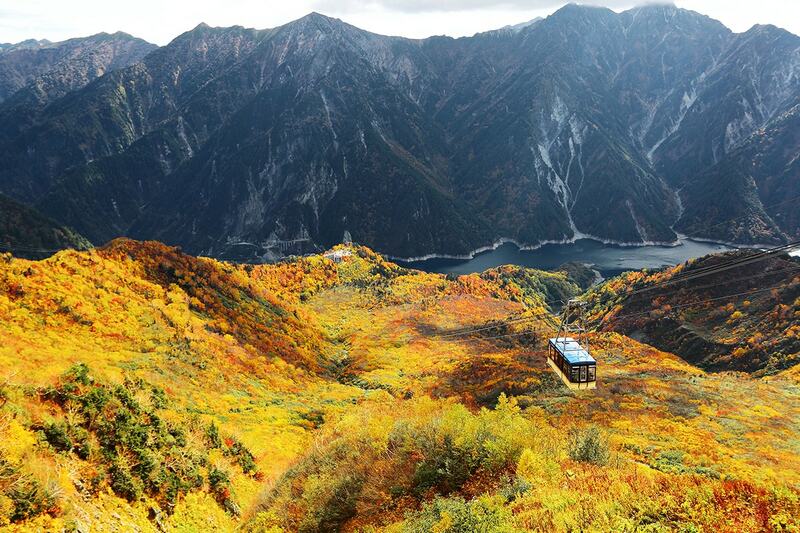 Experience a drive along the amazing Kurobe Alpine Route, passing through Mt Tateyama. Renowned for its dynamic scenery depending on the time of year, witness lush mountainsides, incredible snow walls or a blend of stunning orange and yellow Autumn leaves. Wander through the streets of Higashi Chaya and see gassho-zukuri farmhouses in Shirakawago. Find some traditional, local cuisine as you wander Osaka, Japan’s second largest metropolitan area, visit the stunning Nagoya Castle, admire Fushimi Inari Shrine and be awed by the views of Umeda Skygarden overlooking Osaka. This tour package includes return international flights, accommodation, breakfast daily, private coach transportation, in-depth sightseeing, tour guides and more. 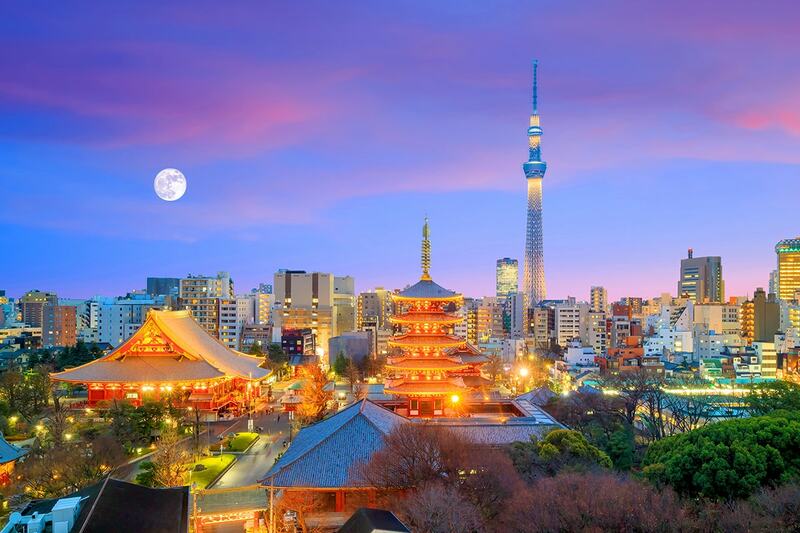 Board your international flight from Australia to Tokyo. Please note: some flights might depart 1 day later. Arrive in Tokyo. Your friendly tour guide will be waiting at the airport to transfer you to the airport hotel. Today’s drive this morning takes you to Nikko, an ancient town surrounded by deciduous cedar trees and majestic waterfalls. Visit the fascinating Nikko Toshogu, a UNESCO World Heritage site well known for its distinctive architecture made up many extravagant wood carvings and gold leaf decorations. Continue on to Kegon Waterfall (about 100 metres tall) set against the stunning backdrop of the greater Nikko National Park. 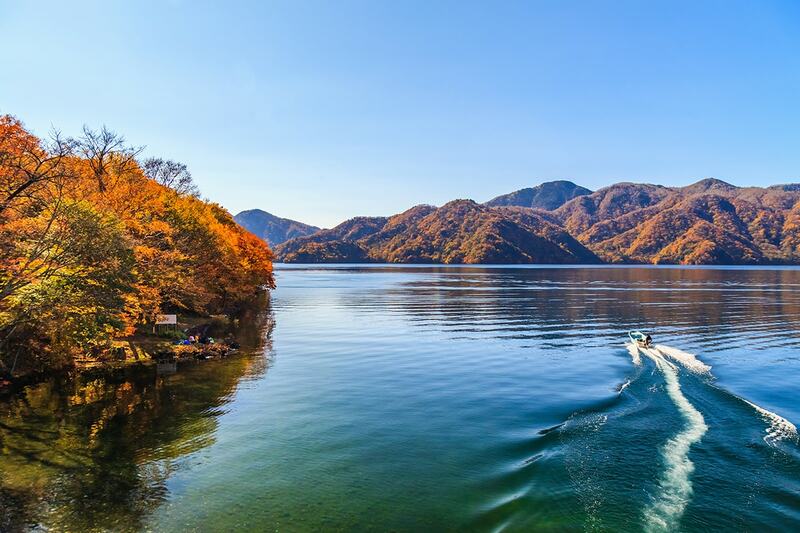 Make a stop at Lake Chuzenji and be astounded by its natural scenery before returning to the hotel this evening to relax and unwind in a hot spring at Kinugawa Onsen. 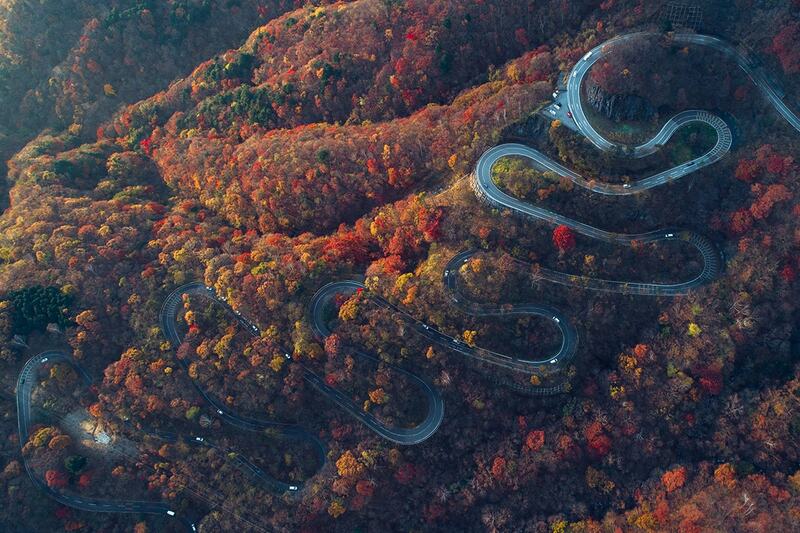 This morning, the drive towards Karuizawa will take you through the majestic highlands of Nagano prefecture. On arrival, visit the main shopping street in Kyu-Karuizawa lined with stores selling a variety of local specialty products. Karuizawa was once the summer resort for the Canadian missionary who frequented the area in the late 1800s. Many of the town’s buildings thereafter, such as the chapels and cottages, are distinctly European in style. After lunch, travel to the famous Jigoku Valley Monkey Park, where you can see wild snow monkeys bathe in hot springs all year round. After breakfast, visit Hokusai Museum to discover the great Katsushika Hokusai (1760-1849), one of Japan’s leading painters. Hokusai was most famous for his ‘Thirty six views of Mt Fuji’ painting and has gone on to influence many talented artists like Vincent van Gogh. Today’s special highlight is a soba noodle making experience. Soba noodles are made from buckwheat flour. Learn how to create and roll dough, and then slice it into thin soba noodles using a special soba knife. Enjoy your own noodles for lunch. Continue on to Zenkou Temple, one of the largest Buddhist temples in Japan with an astounding history that spans over 1,400 years. The drive along Kurobe Alpine Route is picturesque and the scenery varies depending on the season. In winter, you can witness massive snow walls that reach up to 20m in height. A visit in spring and summer will see the mountainside enveloped in lush, verdant alpine plants and flowers. In autumn, trees are ablaze with a stunning blend of orange, yellow and red leaves. On arrival, travel through the mountains using ropeways, cable cars and buses. A must-visit in this region is Kurobe Dam, one of the world’s largest man-made structures seamlessly blended in with the natural beauty of the Northern Alps. 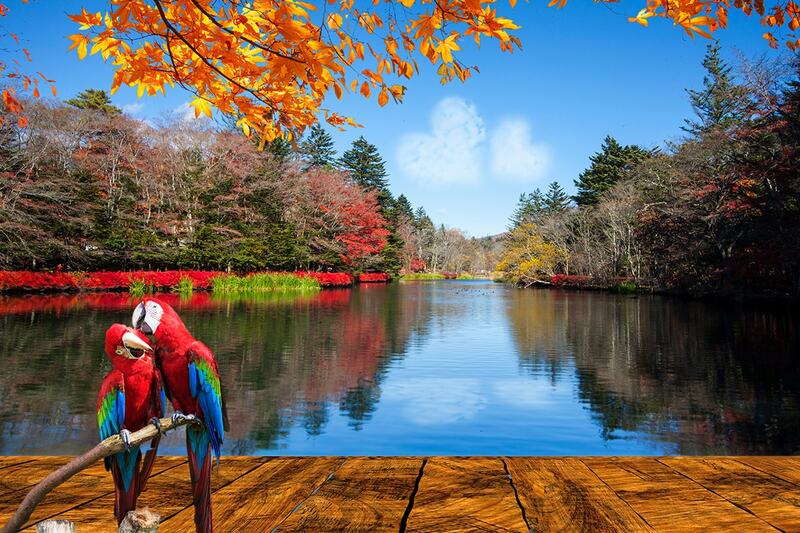 Afterward, stop by Mikuriga Ponds and be fascinated by the mysterious pristine blue waters of the volcanic lake. 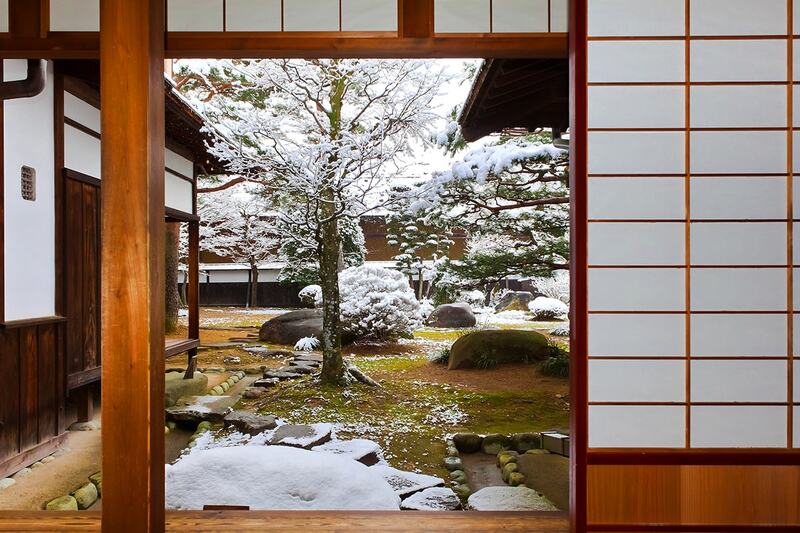 Travel onwards to Kanazawa, which was once a castle town established around 300 years ago. Visit Buke Yashiki (samurai house) and discover how higher-ranked samurais lived in a feudal society during Edo period (1603-1867). 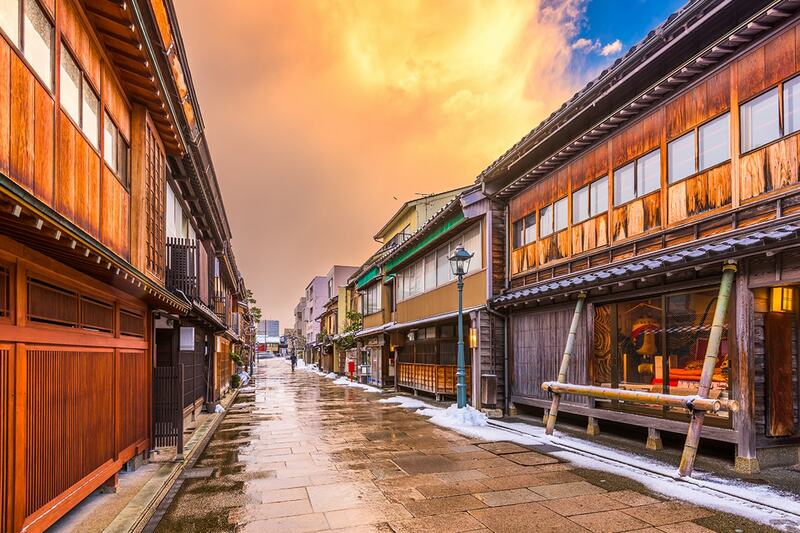 Later, wander through the streets of Higashi Chaya, a district lined with quaint old buildings that were once teahouses frequented by geisha (traditional Japanese female entertainers) and their guests. 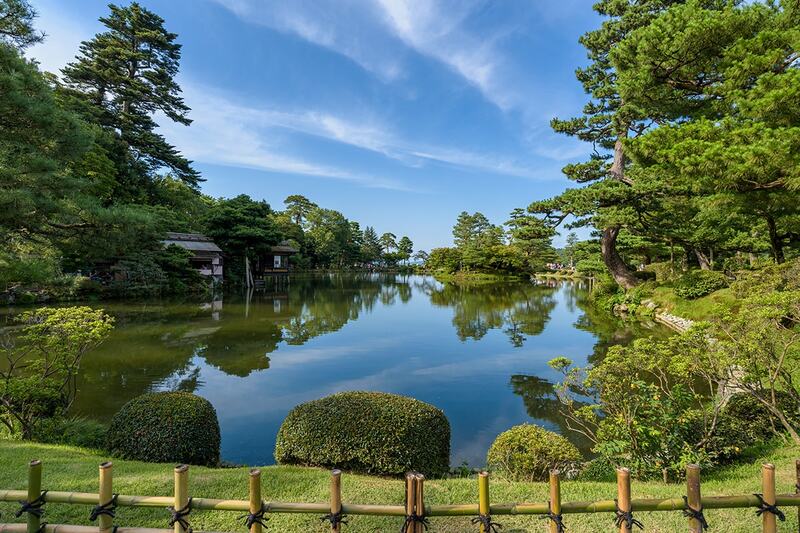 Next, visit Kenroku Garden, regarded as one of the country’s most elegant Japanese gardens that combine six qualities of a perfect garden: spacious ness, seclusion, artifice, antiquity, water features and panoramas. The last stop for today is Shirakawago, a World Heritage site where 114 Gassho-style houses (steeply-pitched roofs in the shape of a triangle) built many hundreds of years ago stand together in its natural setting. Takayama is an atmospheric and historic town and many of its streets still retain a traditional feel dating back to the late 17th century. Enjoy breakfast before you set out on a light morning stroll through Takayama’s local food market lined with stands that sell local crafts, assorted snacks and fresh seasonal products direct from the farms. Afterwards, visit Takayama Jinya (historical government house) that was under control by the powerful Tokugawa Shogunate. Besides the main building you will find a large rice storehouse. Before lunch at Sanmachi, partake in a sake tasting experience. Sake (rice wine) is a specialty in this region due to the abundant rice fields and clear waters nearby. After lunch, drive to Nagoya and visit the Toyota Commemorative Museum of Industry and Technology . Here you will learn about the history of Toyota as a textile machinery manufacturer and how it became a successful mass exporter and manufacturer of automobile and automotive technology including robots. 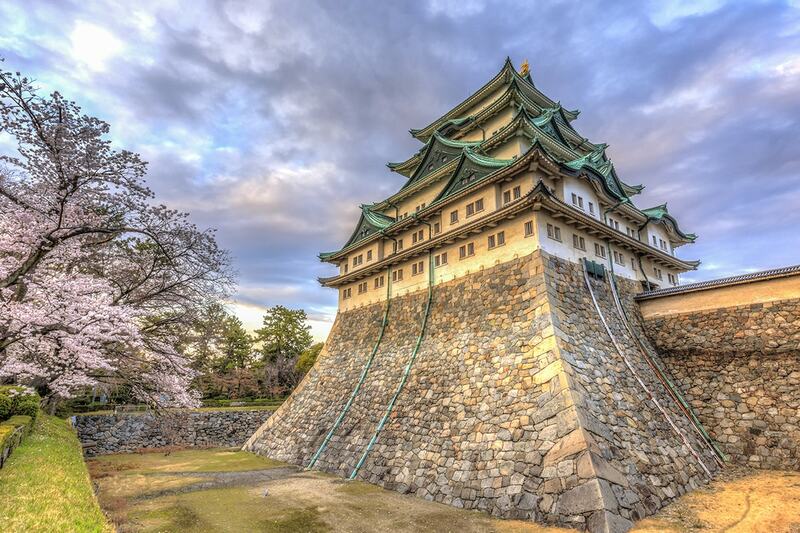 Today’s morning visit is to Nagoya Castle, which was constructed by order of Tokugawa Shogunate in 1612. This castle is famous for shachihoko, a pair of golden fish ornaments nested on top of the castle roof. Bid farewell to Nagoya and travel to Kyoto to see the visually arresting Fushimi Inari Shrine . This shrine is most famous for its thousands of bright vermilion tori gates surrounded by a dense wooded forest. The shrine is dedicated to the Shinto god of rice and sake and features dozens of statues of foxes; foxes were once believed to be special messengers. Your last stop for today is Umeda Skygarden where you can settle down and catch a beautiful evening/night view of Osaka city. Travel to Kansai International Airport for your flight to Australia. Must book at least 90 days prior to departure. A deposit of $1,190/$1,550 per person are due at the time of purchase in order to secure your date. Final Payment is due 120 days prior to travel. If you book within 120 days of travel, you will be sent an invoice within 7 days for final payment. Excludes: Travel insurance, Visas, Personal expenses, Anything not mentioned or “optional” in the itinerary. Payable direct to our Travel Partner at the time of booking. Children: Minimum age 2 years. Same price as adults. Please note: Unlike western hotels, Japanese rooms can be small in size, only offer twin bedding or have limited in-room facilities like tea & coffee or satellite TV. Travel Insurance: Help cover yourself for the unexpected with Webjet Travel Insurance, we highly recommend it. Click here for a quote. *A $500 per person surcharge applies. Brisbane and Adelaide – a $300 per person interstate surcharge applies. Perth – a $500 per person interstate surcharge applies. Including minimum 15kg of checked baggage per passenger (actual limit is subject to airline). Names cannot be changed once flights have been booked. Some flights may depart a day before/after, involve up to 2 transits, stopover or a substitute airline. These changes are beyond our control and will be confirmed upon booking. Airline schedule changes or cancellations can happen from time to time and are beyond our control. The customer is responsible for reviewing their flight schedule prior to their departure. Webjet Exclusives endeavours to assist customers where possible, however should any change or cancellation occur, please contact your Travel Insurance provider to check whether you are covered by your policy. A $250 per person “breakaway” charge will apply per person plus any applicable fare and tax difference. In order to obtain a quote for your requested variations, you must purchase your vouchers first and submit your request via the online booking form. On this form will be a section highlighted “Flight Quote Request”. You must complete the mandatory information in this section to be provided with an accurate quote. PLEASE NOTE: No flight requests/quotes/upgrades will be actioned until your final payment has been made. After this you will be contacted in relation to your request. Payment of the breakaway fee and any applicable fare and tax difference must be paid at time of quotation in order to confirm your flights. Flights are booked in departure date order and we endeavour to send you this information 30 days before departure, if not sooner. Once flights have been confirmed and ticketed, any voluntary changes made thereafter will incur a change fee plus any fare and tax difference. If you wish to extend your trip, a $250 per person breakaway charge will apply (subject to availability and applicable fare difference). Your stay behind request must be submitted when completing your booking form. Only the return date can be altered. If you wish to alter or extend your trip, please purchase your voucher first and submit a request on your booking form. Webjet Exclusives will then provide quotations for any alterations or extensions. Should you wish to proceed any additional charges will be collected.